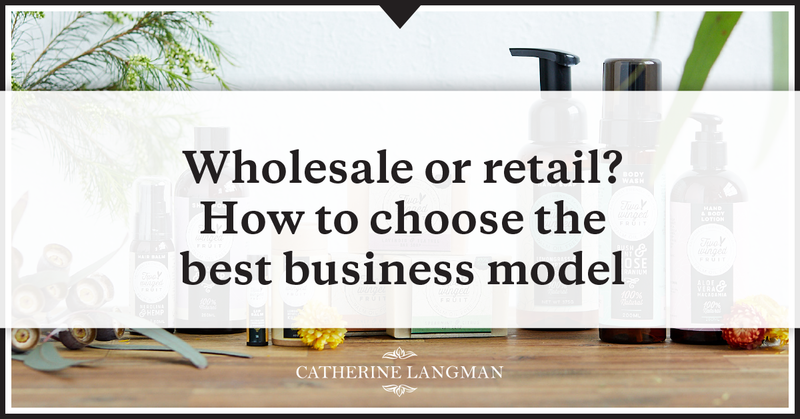 Should you wholesale or retail? What’s the best choice for your brand? And yes, it’s true that you can charge more when you sell direct to consumers. By comparison, wholesale prices are often half your recommended retail price, whilst your cost of goods is still the same. Where do customers typically buy your type of product? This is really the number one question you need to ask yourself. If you think about it, most of us are well trained to buy certain products in certain locations. For example, most of us buy groceries at the supermarket because it’s convenient. But some people buy their fruit and veg at an organic market, because they specifically want quality, fresh organic produce. My client Dr Maretta Man, of Two Winged Fruit, manufactures a range of all-natural, palm-oil-free soaps and skincare. 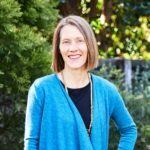 She initially started out as a retail eCommerce business. But when she launched, she found it was really difficult to get traffic and sales on her website. Part of the problem was that her products are the sort of item that many people habitually buy when they’re grocery shopping. They’re not actively searching to buy this kind of product online. On the flip side, Maretta quickly found a couple of large retail stores whose particular focus is on natural, vegan and/or palm-oil-free products. When these stores picked up Maretta’s range, her sales volume increased dramatically, enabling her to scale her production significantly. Since being stocked in these well-known retailers, brand awareness within her specific target audience has quickly increased for Two Winged Fruit. Her online sales have also increased in this time, which is a natural bi-product of that increased brand awareness. If, as Two Winged Fruit was, you are a new brand entering the market, it can be quite slow going trying to build an audience online. The world wide web is a cluttered place these days. Trying to cut through that noise and build a profile is hard. Being seen on the shelves of customers’ favourite retail stores is one of the fastest ways to be ‘seen’. For Maretta, being stocked on the shelves of major retailers within her specific niche gave her new brand the credibility it needed for customers to trust it and buy it. 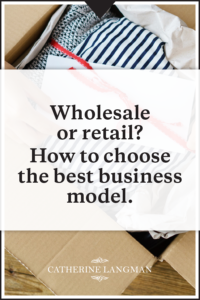 Another consideration when deciding whether to focus your efforts more on wholesale vs retail, is your average order value, or the average price per product. If your retail price is really low, many consumers won’t purchase online because the cost of shipping makes the price of the product too expensive and not worthwhile. In some respects, this is also what Two Winged Fruit experienced. Despite their prices being more on the expensive side for their product category (to be expected with all-natural products), a bar of soap or a stick of deodorant is still an inexpensive item to purchase online. More consumers are likely to want to pick up these items when they’re already shopping in-store. Yes, you may only make half the profit margin per product when you sell wholesale compared to retail. But, retailers will typically place much MUCH larger orders with you than any individual customer. Additionally, packing a large order for a wholesale stockist is almost as simple as packing a small order for an individual customer. In fact, the customer service aspect of managing wholesale stockists is often easier than dealing with lots of customers placing smaller orders! Think about it – having 50 stockists paying you $500 a month each is a lot easier than dealing with 500 customers spending $50 each! These days it’s very common for brands to sell both wholesale and retail on their own website. For most brands, this is the right model. It’s pretty hard to find retailers to stock you in every corner of the country (or world). So by selling online on your own website you can get to customers who can’t buy your stuff in their local store. They key to managing both well is to treat your stockists well. Don’t undercut them with aggressive discount promotions only available to customers of your own website! Watch my brand new, FREE Masterclass training, where I show you the ropes to a successful wholesale business. If you want the speed pass to successfully building your brand into a household name, desired by customers and stocked by retailers everywhere, this training is for you! 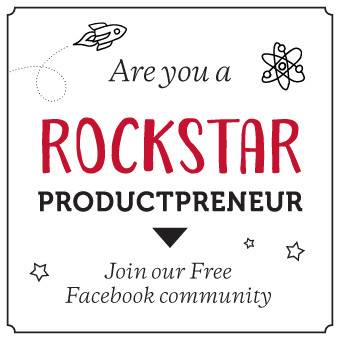 Discover my proven 4-step process that has successfully doubled, tripled (and even more!) the wholesale sales revenue for many of my clients! Learn the simple building blocks to build your brand into a household name, desired by customers and stocked by retailers everywhere. 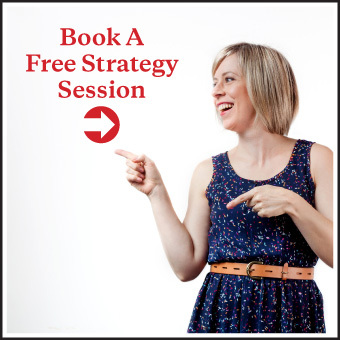 Learn the strategies that are working right now to win new wholesale clients and keep your existing ones coming back for more.